Great historical information, thank you for sharing! I do hope to visit some day, I too love the Outlander books, Stars series. So much so, my husband and I are going to Scotland in the Fall of 2018. We’ve been to Colonial Williamsburg 3 times because we, mostly me, love the rich history. Thanks again for your research and sharing it. Hey Sally! Thank you for your kind comment. Can you pack me up and take me to Scotland with you? LOL! I want to go! Seriously, I know you are going to have a great time. If you’re not a member of our FB group, head on over there and join (https://www.facebook.com/groups/outlandernorthcarolina/). That way you can share your Scotland experience with us! Also, when you visit Colonial Williamsburg, you’re only a zip away from North Carolina. Come on down!!!! Sally, I’m glad you found this informative–I love learning new things, and once I really started looking around for Stede, I learned about his close association with Blackbeard. If you come back to eastern NC and want to see some authentic Colonial sites, go to Edenton. They have a walking tour, and one of the stops is the Penelope Barker House, where she organized the first tea tax rebellion. The oldest house in North Carolina is there as well, (though it doesn’t look old! ), and the original 1767 courthouse is a sight to see! I am new to your site and I greatly enjoyed reading this piece! I too am jealous of Sally heading to Scotland. My husband’s great-grandparents hail from Glasgow and we’ve longed to go there….even before my obsession with the amazing Diana Gabaldon and her wonderful Outlander World. Keep up the great work and Thank you! Hey Lydia! Thank you for the kind comment and I’m so glad you enjoyed the post. I learned so much myself. Susan did a great job! I want to research my family history – I MUST have ancestors from Scotland! How else can I account for my obsession?!?! Thank you so much for stopping by my site!!! Thank you for reading my first post, Lydia! ???? Thanks Beth! I enjoyed reading this bit of NC history. When I was reading DOA I had convinced myself that Stephen Bonnet was a pseudonym for Blackbeard, so thanks for the clarification. Thank you, Colleen! Susan did a great job with this post! And, yep, Diana knows her stuff, right? Wish I had her brain! Of course, she wouldn’t want mine so I’m afraid I am rather stuck with what I have! Thank you so much for reading and for the kind words. Thanks for stopping by. Colleen! ???? Wonderful article!! It is so amazing reading about areas in North Carolina I visit frequently or live within a few miles of, such as Bath, NC! I grew up attending school in Bath, its history was something as kids and now adults we still find fascinating. Reading of North Carolina towns and some of its history in the Outlander series is so amazing and I often find myself learning something new. The research and detail Diana has put into this series astounds me!!! Thank you, Angela! I was so excited when I was reading the books and learned Jamie and Claire come to live in NC! I’ve learned and continue to learn so much because of Diana’s wonderful books! She is truly amazing and has made me so enthusiastic about NC history. Susan did a great job bringing that history to life in this post! Thank you for commenting! I feel the same way, Angela. I didn’t move to this area on the coast until I was an adult, and gobbled up every bit of history and lore and legend I could get my hands on. I loved learning about Blackbeard, and really enjoyed the extra knowledge I gained by researching Bonnet. Thanks for your kind words! ???? Very interesting information, thanks! Diana has said that Stede Bonnet is probably Stephen’s father or grandfather. Thank you for reading and commenting, Karen! Stephen would definitely be a chip off the old block then! Hey, Karen! And if Stephen is a descendant, he must’ve gotten the DNA that made Stede go off his rocker. ???? Thanks for stopping by! Very interesting historical article. I knew Steven Bonnet was a real person but didn’t know this was the reality. I’m heading to Scotland for the second time next month; it gets into your soul and won’t let go. Eating is overrated, aye? Oh aye, Trudy! I’m with you! In fact, take me with you. I won’t cause much trouble – promise. ???? Seriously, I hope you have a wonderful trip. 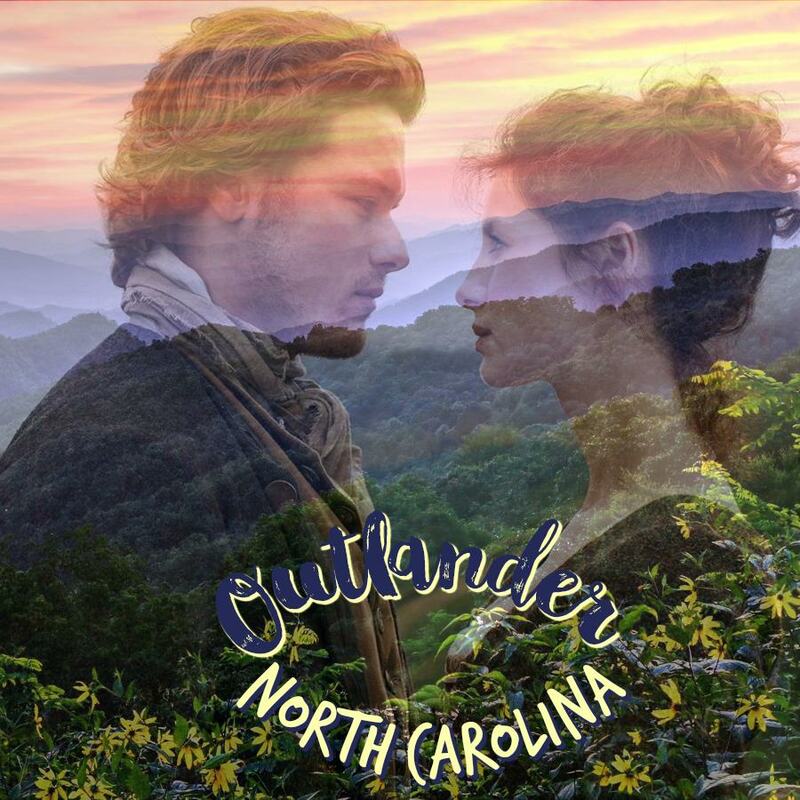 Are you a member of the FB group (Outlander North Carolina)? If so, would love for you to post some pictures from your trip! Thank you for reading the blog and for commenting! Yes, Trudy–come join us in Facebook and let us travel vicariously with you! Thanks for stopping by the blog! ??????? ?